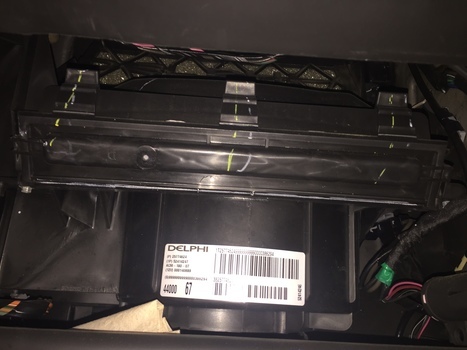 Learn how to change a 2006-2011 Chevy HHR cabin air filter. The manufacturer's schedule says to replace it every 12,000-15,000 miles. This guide includes all the tools and parts needed to get the job done quickly. 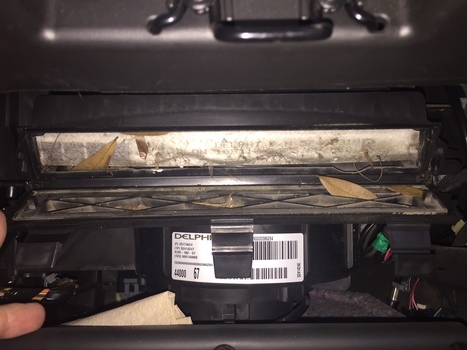 A commonly overlooked maintenance item on todays modern cars is the cabin filter. 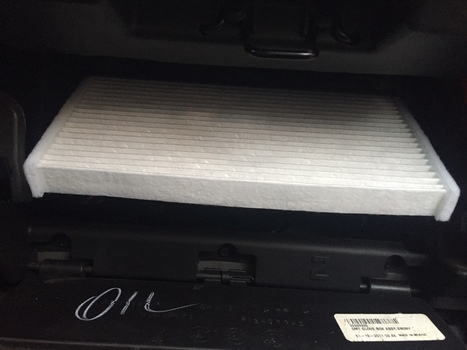 The purpose of the cabin filter is to clean the air that enters through the ventilation system by filtering out pollen, dust, and other various materials (including some odors) that can give your car that not so new smell. This is particularly important if you suffer from allergies or other respiratory problems. 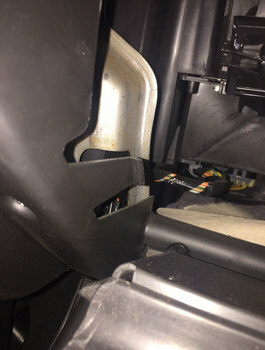 The cabin filter of the HHR is located behind the glove. Open up your glovebox and remove all items for easier disassembly. Located on the right hand side (nearest the door) you will see a hinge and arm with a bolt. Use a 7mm socket to loosen this bolt. Once loose, remove by hand as the space is tight to use the socket wrench the entire time. 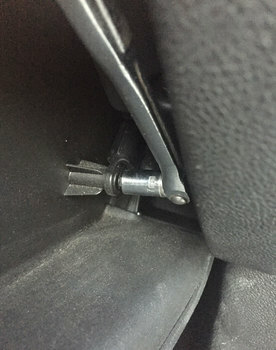 With the bolt removed, disconnect the arm. Next, squeeze the sides of the glovebox inwards and towards you to release it from the 2 tabs that hold it in place. Once released, the glovebox will swing downwards. 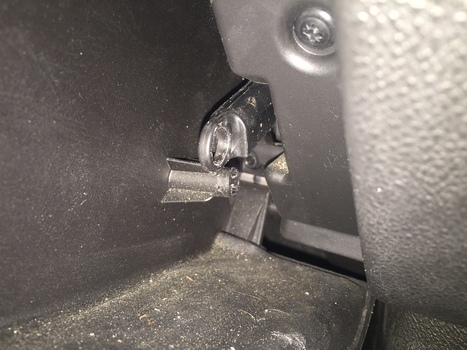 If you are have trouble squeezing the glovebox and it not releasing, try reaching behind the glovebox and pull the tabs outwards. 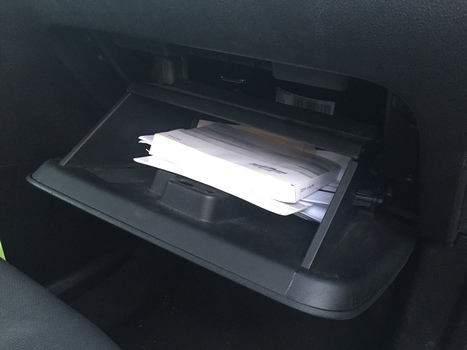 I found this method easier than squeezing the glove box. You will now see an access panel with 3 clips (labeled A, B, C) along the top side of the filter housing. Release each clip by pulling them straight down. With the clips released, the panel will open downwards. Slide the cabin filter out of the housing. With the airflow indicator arrows pointing DOWN, slide the new cabin air filter back into the housing. Close the access panel back up and latch all 3 clips along the topside of the housing. Now grab the glove box and swing it back up until you hear it click back into position. Replace the arm back onto the hinge and reinsert and tighten the 7mm bolt you removed. Replace any items you removed from the glove box, shut it and enjoy fresh air on your next outing! Obviously, this cabin filter was WAY OVERDUE. This particular HHR is a daily driven vehicle with over 125,000 miles. There was a combination of leaves, tiny rocks, bird feathers, and other misc scum that I dare not guess it's origin. 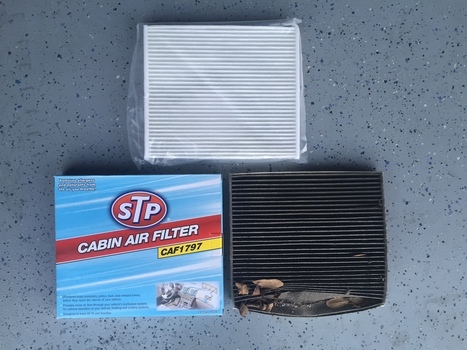 This proves how important it is to change your cabin filter on a routine basis, especially if you are prone to sinus issues or allergies.